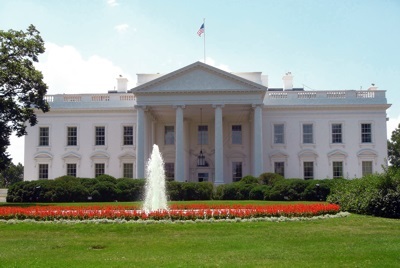 Washington D.C. in the USA - city facts, travel and tourism to Washington D.C.
Travel Guide 2 > USA > Towns and Cities > Washington D.C.
Washington, D.C., is the capital of the United States. It is located on the banks of the Potomac River in the federal district, known as the District of Columbia (often abbreviated to "D.C.") between the states of Maryland and Virginia. The city contains the centers of all three branches (executive, legislative and judicial) of the US government, as well as the headquarters of a number of international organizations including the Inter-America Development Bank, the International Monetary Fund, the Organization of American States, and the World Bank. As of 2007, Washington D.C. had an estimated population of 820,500. Washington is a popular location for tourists, in large part due to the many national landmarks and memorials which include the Franklin Delano Roosevelt Memorial, the Jefferson Memorial, the Korean War Veterans Memorial, the Lincoln Memorial, the National World War II Memorial, the United States Capitol, the Vietnam Veterans Memorial, the Washington Monument, and the White House. 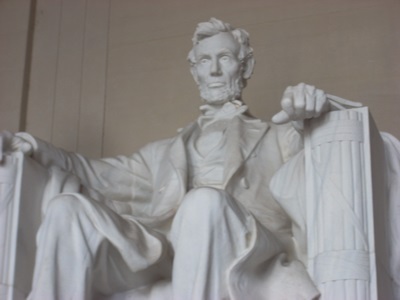 The city is also home to the world's largest museum complex, the Smithsonian Institution, which includes over a dozen museums in Washington D.C., including the National Air and Space Museum, the National Museum of Natural History, the National Portrait Gallery, and the Smithsonian American Art Museum. Visitors to Washington D.C. can also enjoy a wonderful performing arts scene. The city is home to the Shakespeare Theatre Company, which has been described by the Wall Street Journal as "the nation's finest Shakespeare company", a number of excellent theaters, and the John F. Kennedy Center for the Performing Arts, which hosts the National Symphony Orchestra, the Washington Ballet, and the Washington National Opera. Compact and affordable, Fodor's 25 Best Washington DC 2019 is a great travel guide for those who want an easy-to-pack guidebook and map to one of the most exciting cities in the United States. Fodor's 25 Best Guides offer highlights of major city destinations in a compact package that includes a sturdy, detailed street map you can bring along with you to help you navigate when cell service is not available. By focusing only on top sights―all divided by neighborhood―we make planning your days easy. •UPDATED FOR 2018: Fully updated coverage on the information you need to know. •GORGEOUS PHOTOS AND MAPS: Full-color photos and full-size street maps cover the best Washington DC has to offer, all in one easy-to-use package. A handy, weather-resistant pullout city map will help you quickly orient yourself and plan your day. •PRACTICAL TIPS: Travel like a local with our “Need to Know” section, filled with useful travel tips and other essential travel information such as how to best get around. •COVERS: the Smithsonian, views from the Kennedy Center and the Old Post Office Building Tower, Capitol Hill, the White House, Dupont Circle, Mount Vernon, Alexandria’s Old Town, the local zoo, National Air and Space Museum, and much more! Planning to visiting other destinations in the area? Check out Fodor’s 25 Best New York City and Fodor's Philadelphia.